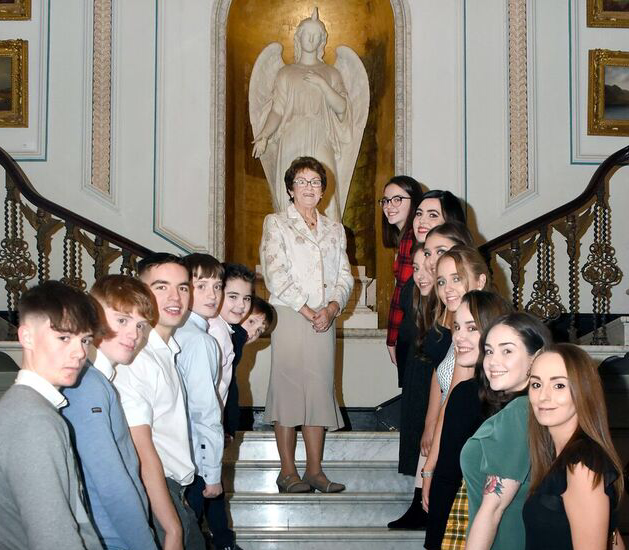 On Saturday 19th January, Maureen Ketterick celebrated her 80th Birthday with her family on Westport Estate. 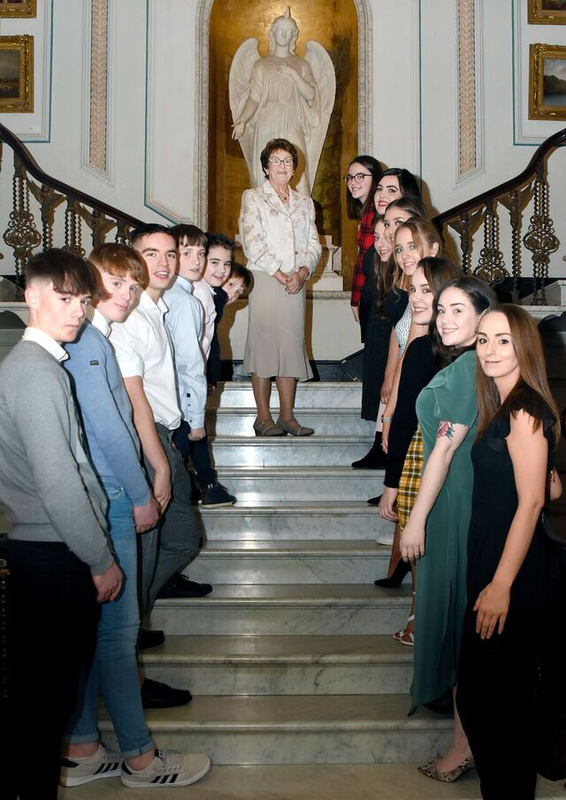 Her children and grand-children organised a night with a difference to celebrate this very special occasion. They brought Maureen back to historic Westport House where her in-laws, Martin & May, lived in the gate lodge at the Quay. Martin worked in the dairy making butter for the Estate and in fact, won a gold medal at the all-Ireland butter making championships. May was always there with a friendly smile and a wave for all who visited Westport House. 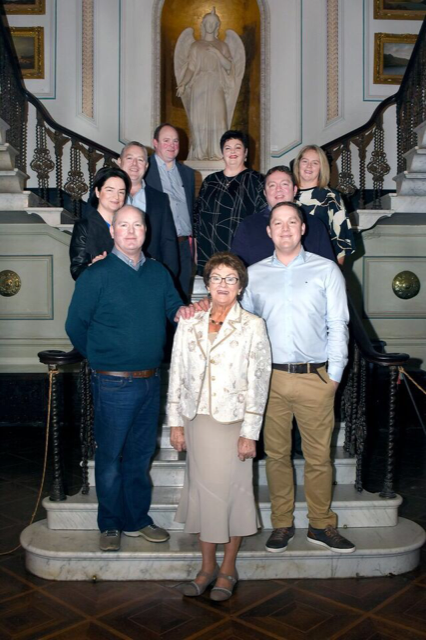 It is fitting that this well-known local family kicked off Maureen’s milestone birthday with drinks and canapés at Westport House followed by dinner and drinks in Hotel Westport. We wish her every good wish for her birthday. To host your special occasion with us, please drop us a note to events@westporthouse.ie. We would love to help you celebrate! 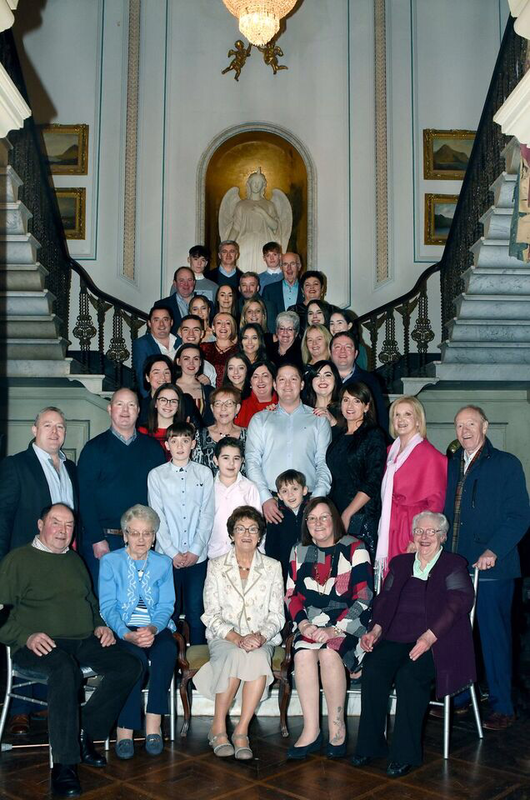 The Kitterick family celebrated Maureen’s 80th birthday party in Westport House & Hotel Westport. 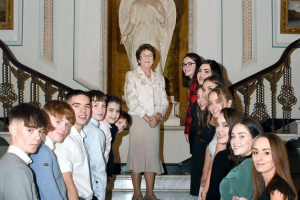 Maureen surrounded by her children in Westport House for her birthday celebration.